Why Have A CCTV Drain Survey? NO CALL OUT CHARGES - EVER! Expert drainage maintenance and repairs in Canterbury, Kent by JLH Drains, specialist fault finding, pressure jet washing, drain relining and no dig pipe repairs. 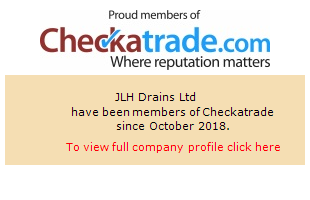 Providing drainage maintenance and repair services to homeowners and commercial businesses including restaurants, hotels, kitchens and letting agents, JLH Drains are your best choice for cost-effective and fast turnarounds in the Canterbury, Kent area. Working to the highest standards in safety and fully certified for street works and waterways access you’re guaranteed a comprehensive and effective result from JLH. Everyone wants to avoid pipe excavations if they can help it, but make sure you get any drain re-lining carried out by experts like our team at JLH. Poorly carried out re-lining can cause blockages and at worst won’t even fix the initial problem. Using extensive experience, well trained professional staff and carrying out a full survey of the re-lining repair with CCTV afterwards means we can guarantee customers across Canterbury, Kent of an exceptional result. We focus our drain repairs and maintenance services on diversity; investing in a wide range of tools and training so that we can bespoke fit solutions to your requirement. Our CCTV inspection equipment is an ideal example of this getting used to fault find in blocked drains, toilets and cracked pipes, to guide works such as no-dig repairs, tree root removal and die tracing as well as guiding most of our service contract work. Blocked drains, toilets or sinks are a big problem in the home or in business, besides putting facilities out of action they can quickly develop into unpleasant health risks. Our service, provided across the Canterbury, Kent region, can deal with any problem quickly and professionally helping you maintain a sanitary environment; the service can include regular drainage maintenance works to ensure your pipeworks are functioning perfectly. You can trust in JLH Drains for any excavation requirements precisely because we’ll do everything we can to avoid them; we take pride in giving our customers fast turnarounds at the minimum price and only excavate when there is no other choice. With a highly expert team from across Canterbury, Kent we’ll quickly trace the drainage problem and guarantee all excavation works are carried out as quickly, effectively and professionally as possible. Many of our customers worry about the cost and disruption of drain repairs; all that time digging things up just working out what the problem is… At JLH Drains in Canterbury, Kent we do things differently, using the latest technology to ensure nearly all of our repairs are carried out without excavations. Miniature CCTV cameras find the problem, blockages are removed with high pressure jet washing and cracked pipes are relined with tough epoxy resin applied with a remote system that can save up to 75% on drain repair costs! Call at any time for a fast visit, assessment and quotation, we can usually fix it there and then. Call our freephone number and your nearest engineer will be with you within an hour and a half. Based in Kent with locations in Medway, Maidstone, West Malling, Sheerness and Gravesend, we offer all Kent (and surrounding areas) residents and businesses the latest hi-tech drainage services to ensure you get your drains fixed fast with guaranteed competitive prices, experienced staff and a guaranteed no call out charge. Instant quotation supplied before we commence work. We welcome your enquiries at any time via our 24hr Telephone Helpline, get in touch with us today for your no obligation quotation as well as a cost effective & reliable drainage service.